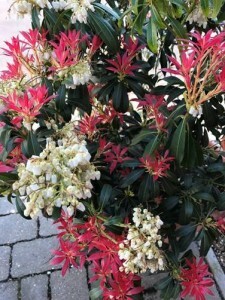 PIERIS ‘Forest Flame, in flower now, with white flowers, the vibrant young red foliage becoming orange then yellow to green later make for striking garden shrub also good in pots. Like acidic moderately fertile soil, may need some protection in winter when young and Evergreen. Ideal on banks and slopes, borders , containers, focal plant. 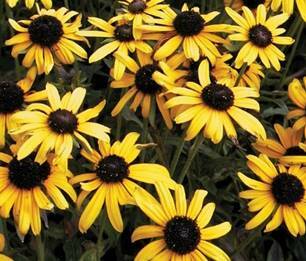 Like acidic soil, you will need to use a fertilizer for acidic plants if your soil is alkaline. Now is the time to be busy with seed sowing of seed from your plant breeding projects, for developing your new plant breeding selection or new plant discovery I can offer full trialling and new plant development service. More details is available on my website. We can offer full support for EU Plant Breeders Rights Applications if UK leaves without a deal, we have a company in Europe that can provide the complete assistance to apply and maintain EU rights on your behalf. Remember you will most likely need to have separate rights in the UK after we have left Europe. It looks like spring may finally be here with temperature forecast to rise a brief cold snap over the next few days though, could be some frost at night. Most trees and shrubs are now budding up, although we have had some rain, it is still quite dry. Instant colour can be provided by planting Primula and Viola, look for cornuta types. Regular weeding should be carried out whenever you can, so that it will keep them under control, perennials infested with spear/couch grass can be divided and weeds removed. Look out for Vine Weevil damage, damage shows when plants start to wilt, on inspection roots will have been badly eaten. You may also see white c shaped larvae, apply a biological control, plants in containers are unlikely to recover. Mow lawn regularly now, keep to an even height throughout season. Better to cut a little higher if in a dry period. Apply a spring fertilizer, can include moss killer if needed but care is needed with application as pollution of ground water can occur if used incorrectly. If you see a lot of starlings on your lawn then you may have leatherjackets – Crane fly larvae, look for controls on line, biological control is the only control available to amateur gardener. Temperatures can drop at night you may still need the greenhouse heater or other protection. In sheltered areas make first sowing of French beans. Remove algae from patio and slabs, repair any fences still to do after the winter and give a fresh coat of paint. Highly scented flowers from December onwards, ideal to plant near front or back door, I used to have a group near my front door, from December until February it was a scent you could smell as soon as you walked up the path or opened the door. 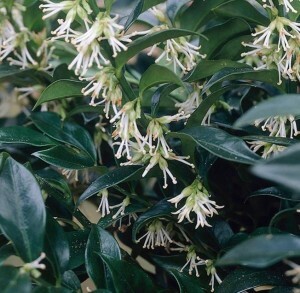 Evergreen winter flowering shrub, quite slow growing, tough plants, dark green leathery leaves, small highly scented white flowers, followed by black or red berries (not edible) in the summer, they quite often persist until the winter, prefers full to partial shade, good humus moderately fertile moist soil that does not dry out in summer. 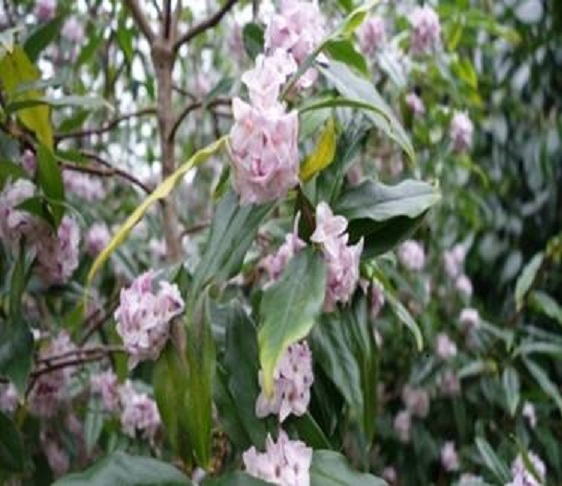 Needs little pruning, if any needed prune lightly after flowering. 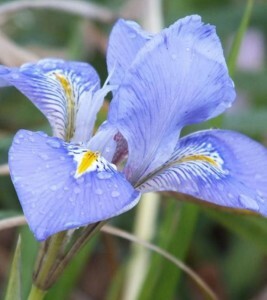 Fertilize early spring. Height 100cm Spread 100cm. Fully hardy in the UK. It would be slow to hybridise varieties of Sarcococca! January is an ideal time to look through seed catalogues looking at what new plants are available before you plan on any crossing or plant breeding programmes. So we start the new year with periods of cold then mild weather. Although we have had some rain it’s quite dry here in Norfolk as I write, the forecast is for windy and cooler conditions, then relatively mild again with cloud but not a lot of rain. Towards the end of the month it may turn colder.. There is still work to be carried out in the garden when conditions allow. Helleborus in variety, orientalis types give a good range of colours and give good opportunities for hybridising. Continue to trim back and tidy garden, clearing weeds, digging over borders ready for mulching in spring. Add bark and gravel to heavy clay soils to improve drainage. Check tubers and bulbs of plants, such as Dahlia, Canna and bulbs that you have stored for signs of rot and dampness, remove any that are rotting, but also if they are too dry they will not be any good. Pruning Evergreens are best left now until the spring. Cut back ornamental vines, Ivy, Virginia creeper. Prune Wisteria by cutting back side shoots, avoid cutting off flower buds. Prune Apple and Pear trees – avoid periods of very cold frosty weather. Leave Cherries and Plums until the spring to reduce risk of bacterial diseases. Its still ok to move/plant deciduous plants unless soil is waterlogged or frozen. Most likely you will not need to mow lawn but it’s best not to let it get too long. If it needs a cut don’t cut in frosty conditions and not too short. Don’t walk across the lawn in frosty weather, or you will leave brown marks where you have walked when frost thaws out. Good time to clean filters, skim leaves off pond surface and rake leaves and debris out of pond. Check water levels and top up if needed. If you need replacement pumps, filters etc now may be a good time to look for sales and discounted stock. Brush any snow off greenhouses and polytunnels. Hippeastrum bulbs, maybe you had one as a Christmas present, now is the time to start them off. For vegetables harvest any parsnips and leeks. If you grow peas, put a cloche over the area you will use to sow in, do this a few weeks before to let soil warm up. If you grow potatoes you can start growing in containers under cover for a very early crop, you will need to fleece up containers during frosty weather if your greenhouse is unheated. 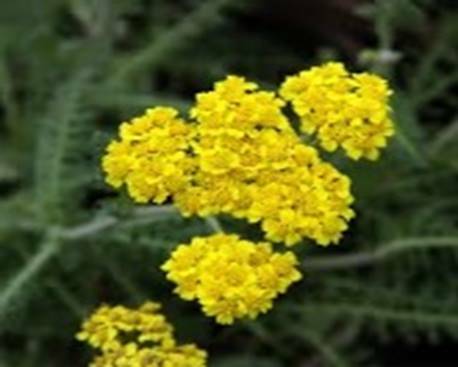 If you have Brassicas remove any yellow leaves as they harbour pests and diseases. Rhubarb can be forced, place a bin or bucket over the crown, this will force young tender pink stems in a few weeks. Repair any fences and sheds if they are damaged during periods of windy weather. Keep patio areas clean of algae and moss. Patio heaters and chimineas may still be needed for those bright clear nights! It’s a good idea to get your gas patio heater checked by a registered heating engineer once a year. Put out food and water for birds during cold periods, but keep area clean and clean feeders regularly to reduce risk of spreading virus and diseases amongst birds. Cleaning up feed debris will help keep vermin under control. If you must have a bonfire remember to check that you do not have a hibernating hedgehog inside! 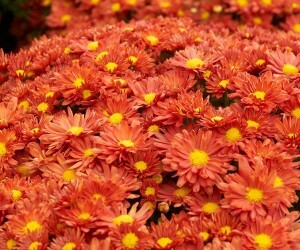 – they need gardeners help right now as populations are decreasing. Enjoy the garden, Happy New Year to you all. 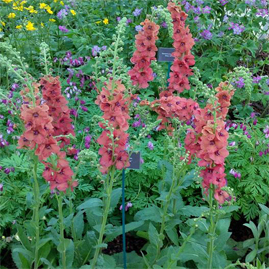 This Verbascum is bred by Claire Wilson and Vic Johnstone, it has EU Plant Breeders rights and produces flowers of a dusky red a unique colour in Verbascum. It show what can be created by plant breeding and simple selection. I trialled the plant prior to it being introduced. As you can see from the picture above new cultivars can be from plant breeding and crossing. Well the weather has now turned very dry and hot, in my area at my garden we have had no appreciable rain for most of June. 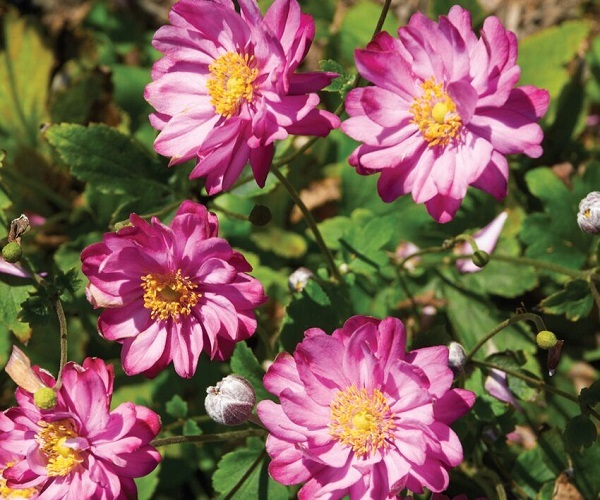 Plants to look for in June. All bedding should be planted out and you will need to keep all baskets and tubs watered and checked each day. Pot up any plug plants, that have come in or still left, water in well. Will need regular checking for watering each day. You can take still take softwood cuttings. Fill any gaps in borders with summer like Pelagonium. Cut back spring flowering plants like Helleborus, Pulmonaria encourages fresh foliage. 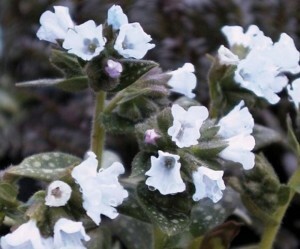 Remove large clumps of forget me nots as they can get out of hand and take over large areas. Continue to earth up potatoes as they shoot through soil.